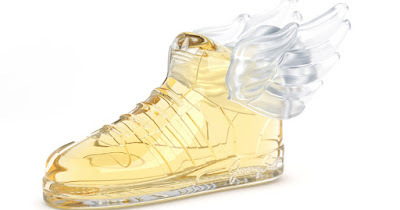 Adidas Originals by Jeremy Scott - 75ml EDT - $90 - defies expectations with a unisex formula that contrasts masculine and feminine. The fragrance opens with feminine notes of rose and Calabrian bergamot followed by more masculine accords of white pepper, incense and cashmere. As I find with all unisex fragrances - it smells much more masculine to me but women who like a not-to-girly scent will probably appreciate it. If nothing else you have to love the fun bottle - a play on the iconic ‘Jeremy Scott Wings’ high-top trainer from the Adidas Originals collection. Available now exclusively at Hudson's Bay. That is one cute perfume bottle!